Season 2 of the hit show tackles large, controversial issues. After being delayed for several months, the second season of “Thirteen Reasons Why” was released on Netflix on May 18. “Thirteen Reasons Why” is a Netflix original based on Jay Asher’s young adult novel of the same name. The first season faced major controversy and intense backlash on the show’s effect on teenagers. According to the Sunday Express, the Parent Television Council asked Netflix to postpone the airing of season two to ensure that the series is “safe for consumption by an audience comprised of minor children.” This season will once again approach controversial topics such as sexual assault, suicide, substance abuse and depression. 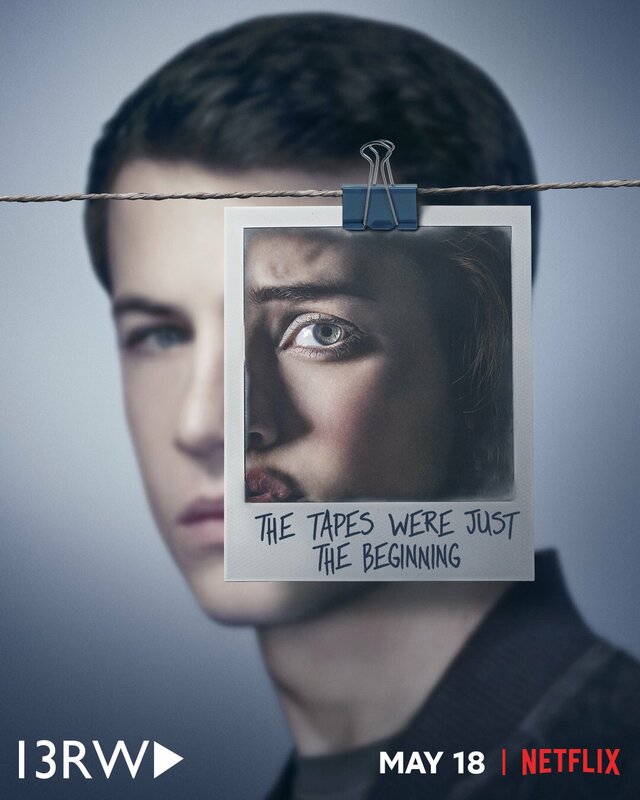 The first season follows Clay Jensen (Dylan Minnette) as he listens to the tapes left by Hannah Baker (Katherine Langford) explaining the reasons why she killed herself. The main problem with “Thirteen Reasons Why” is that most teenagers do not act like those in the series. For example, many characters follow the common high school stereotypes of jock, nerd, or princess, but in reality, most students are a mix of those personalities. Season one was unrelatable and missing many key ingredients for a complete story of Hannah’s suicide. Several scenes were also disturbing and uncomfortable to watch. Season one seemed to glamorize suicide and send the message that taking one’s own life is an okay path for teenagers to take. Season two does a much better job addressing this issue by showing the impacts of Hannah’s death on others, including Alex’s suicide attempt, Clay’s depression and Tyler’s mental health issues. Set a few months after where the first season left off, season two tackles the aftermath of Hannah’s death on her community and loved ones. Several plotlines are developed throughout, such as the court case filed by Hannah’s parents, Jessica Davis’ (Alisha Boe) sexual assault and Alex Standall’s (Miles Heizer) suicide recovery. Each testimony of the court case narrates at least one episode, showing their side of the story. Hannah’s character is also present as a ghost to Clay and in flashbacks. Most of the flashbacks and added plotlines, however, are confusing and do not correspond with those of season one. Season two also includes several heartwarming moments, which is a very good addition from all of the dark aspects of the show. Overall, the entire season is very emotional in both good and bad ways. Even though the show may put viewers in a sour mood, it is crucial for those who have already watched the first season to finish the second. The second season shows the negative effects of suicide, encouraging viewers to not follow Hannah’s example. By ending with a cliffhanger, “Thirteen Reasons Why” may release a third season, possibly giving viewers closure and mending the open-ends. For viewers who are currently facing depression, “Thirteen Reasons Why” would not be the show to watch. If you need someone to talk to, visit 13reasonswhy.info.